Ascent made Classic FM's album of the Week. It reached No.1 in the Classical Charts and has spent over 200 days in Amazon's top 100 Jazz bestsellers. It was recorded on the Universal Classics and Jazz label. 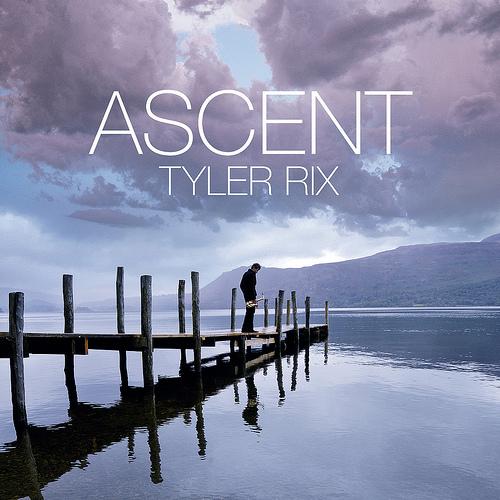 Samples of the album can be heard on tylerrix.com. The album coverwork for Ascent was shot in the Lake District. It was very beautiful and peaceful there......really reflecting the mood of the music....until coincidentally three of my music teachers from my secondary school in Hertforshire 270 miles away happened to walk out from amongst the trees calling "Tyler!" having spotted me there ! In contrast the TV advert was shot in busy London with people rushing around. Music track playing is Einaudi's Primavera.